So for our first blog I thought I'd tell everyone a bit more about our story and what makes us tick.. Let's kick things off by introducing ourselves. My name is Jamie McCabe, and together with my wife Kimberley we began trading as Seagrass Design around 10 years ago. Now things have changed a lot over the years, from what started out as selling our artwork at the local markets in Brisbane for some extra shopping/party money. 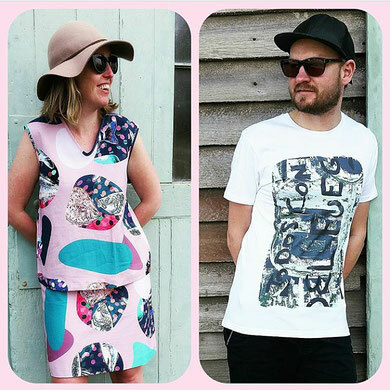 Fast forward 10 years and we're now married, living in Tassie, have our first baby on the way, and running our own store in Launceston where we sell a full range of our own artworks, mens and womens clothing, and handmade homewares and accessories. We also have our womens clothes stocked in 2 stores in Melbourne (Fitzroy Emporium & Design A Space – City), and 1 store in Brisbane (Nook Brisbane). It's been a huge journey with lots of hard work, and without a doubt the hardest job we've ever done. It's also the most rewarding. We absolutely love what we do, and 10 years ago we would never have dreamt that we could make a living doing something that we love. 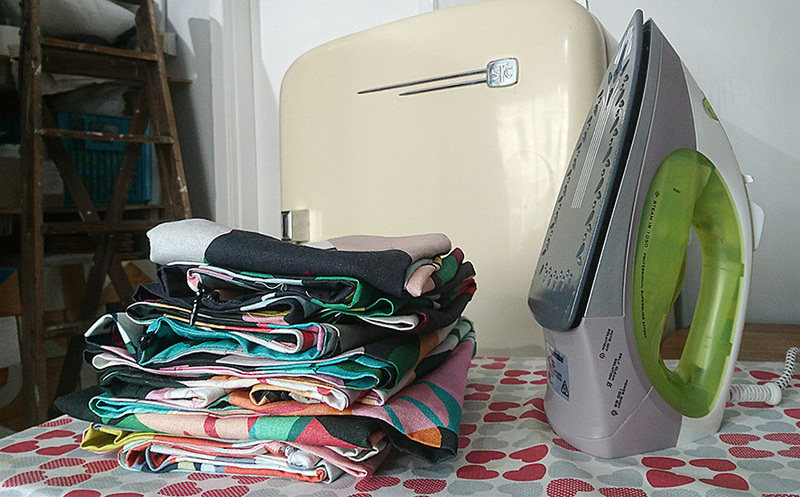 But, it's not all fun and laughter.. there are many parts of the job we hadn't even considered before we began, such as the enormous amount of ironing, or becoming a 'part time model/actor'. Haha, oh well we're happy to take the good with the bad..
Everything we produce pretty much stems from our mutual love for creating original bold & colourful artwork. We like to feel good about the products we make, so there's also a particular focus on ethical and sustainable production in everything we create. As a consumer I have always hunted down products with a bit of love and individuality to them. I find things much more interesting when they have a story attached, rather than the boring old 'made in a factory somewhere'..
We often get asked why we don't have sales like most chain stores do? And to answer that simply, we like to give our customers the best price from the beginning. Yes, we could mark our prices up so that we could join the 50% off sales every second weekend. But as mentioned earlier we like to feel good about what we make, how we make it, and how it's sold. We generally have end of line sales to clear the last few dresses in a particular print that is at the end of our allocated fabric, so it's kind of a luck of the draw to see what sizes we have left when the fabric runs out. Everything we make is limited edition in that we never create more than a 100 garments in the same fabric to ensure it stays unique. 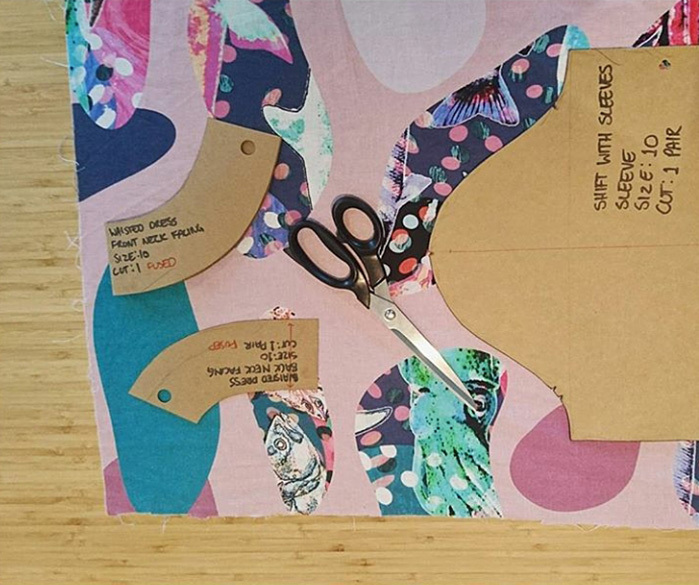 I design all our fabric prints using a combination of multiple layers of photography, painting and digital designs. We currently work with 6 local dressmakers here in Tasmania who sew our garments with genuine love and care, to create a product that is beautiful, unique and high in quality. By producing our clothes locally we also have the ability to do a bit of customising to suit individual needs, such as longer/shorter length, with/without sleeves, round/V neck. We love our customers so it's great to be able to offer some extra services you may not be able to get else ware. Local manufacturing does make our products a little more expensive to create, but it also produces a better quality product that is made to last, which for us is more important. As an artist I absolutely love learning & experimenting, to create something a bit different & fun. Art is basically the recording of a moment in time, which we see reflected in the style of clothes we wear, music we listen to, and the way we decorate our homes. With this in mind I feel it vitally important as an artist to be flexible & creative to represent the changes in an original way, whilst also creating designs that stay true over time. Our store is continually changing and evolving with new products in constant production, along with many more on the to do list. When you run your own business your spare time is quite limited, but when we're not working we love to socialise with friends. We also enjoy listening to music and try to get to as many live gigs as possible. We have a Falls Festival addiction having made the journey down to Marion Bay some 20 odd times between the 2 of us. At home we like growing our own vegetables and chilling in the garden, walks at the beach with our furry Son, 'Willybob the dog'. We also love to travel, meet new people and experience different ways of life. J: Fresh Sweetcorn from the garden. K: It may be the pregnancy speaking, but any kind of pasta. Favourite band/musical artist at the moment? K: D.M.A's, Sydney band. I have seen them a few times and they are always great live. J: Greek Islands, relaxing on the beach and eating AMAZING food. J: Saturday mornings singing really badly in the shower.. not always restricted to Saturdays..
J: Finding things when they are lost, also really good at losing things..
Love the blog Jamie and Kimberley. It is so good to get some of the background story about people, it is always interesting. Congratulations on the effort you have put in over the ten years, you obviously have never lost focus on the belief that you can succeed in your wonderful business.